Caring for a spouse who is experiencing physical or mental decline can be a beautiful expression of love. 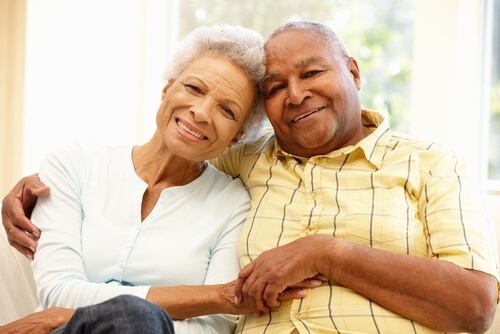 You and your life partner have walked a long road together, and caring for them as they face the journey of aging may feel like an important way to support them. It may also feel like an obligation or necessity. Bearing the sole burden of caring for an aging spouse, however, can cause tremendous amounts of strain. In a study conducted by the National Alliance for Caregiving, 87% of the caregivers who responded said they experienced insufficient sleep or energy, and 70% said they experienced stress. Effects like these are common, and they are known as caregiver burnout. What is Caregiver Spouse Burnout? The most important thing to remember about caregiver burnout is that feeling tired or overwhelmed doesn’t mean you have failed your spouse. Burnout occurs when you have exhausted your ability to meet all of the responsibilities on your plate. 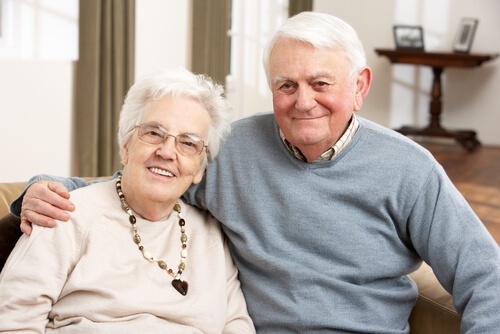 It is very common when you are the primary caregiver for your spouse in addition to managing household responsibilities like cleaning, cooking, and shopping. Burnout may also cause feelings of anxiety, depression, stress, or fatigue as you try to do more than you are physically able to do. Let’s take a look at some of the most common symptoms you may experience as a result of caregiver burnout. How Can In-Home Care Help Relieve Burnout? If you recognize your own experience in any of these symptoms, the first step is to acknowledge that you need help. That can be difficult to admit when you have always managed your home efficiently, but the added responsibilities of caregiving bring significant changes to your daily routine. Caregivers over the age of 55 spend an average of 25 hours per week on caregiving, and the number of hours increases as you age and your spouse’s health declines. As you invest more and more of your time into the responsibilities of caregiving, you may begin to neglect your own needs, and that’s when burnout occurs. The next step is to make some adjustments to your lifestyle so you can remain healthy. Taking care of yourself by eating right, getting enough sleep, taking walks, and reserving some time to rest and regroup are all important ways you can protect yourself from caregiver burnout. This assistance gives you the opportunity to take much-needed breaks, get the rest you need, and enjoy spending time with your spouse outside of the role of caregiver. You can schedule in-home care when you need it, from four hours per day a few days a week all the way up to 24-hour or even live-in care. If you are ready to learn more about how in-home care can help you recover from caregiver burnout, please give us a call today!